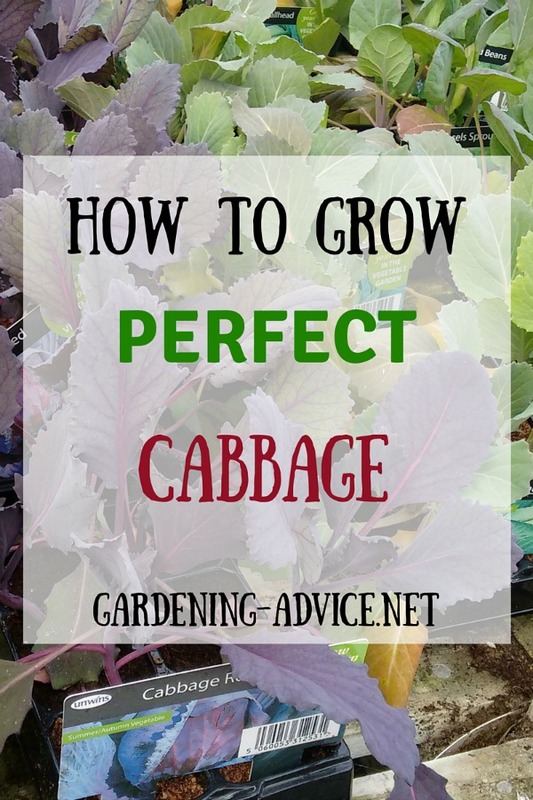 Growing Cabbage is great for beginners because of its hardiness! 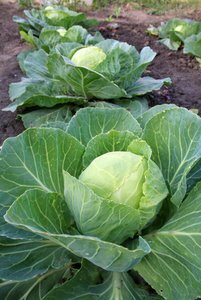 Learn about sowing and planting cabbage and how to deal with cabbage pests. 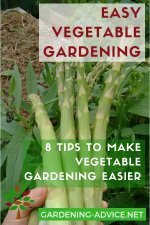 There are plenty of choices that can be included in a basic vegetable garden. However, for those that are impatient to start working the soil, the cabbage family is the perfect place to start. 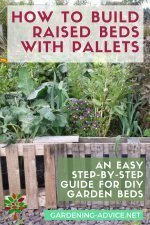 Growing cabbage is easy and the brassica family of plants is considered very cold-hardy. This means that things like cabbage, broccoli, kale and cauliflower can be planted before the threat of frost has passed. Cabbage pests are also less likely to take over when you put your plants in the ground this early, as the colder weather makes it hard for bugs to survive. These first crops are often superior than planting cabbage as part of your main crop. Here are just a few quick tips for growing cabbage, including planting suggestions and the various cabbage pests that you may eventually deal with. Seeding cabbage should commence approximately six to eight weeks before the ideal planting-out date. Brassicas are a slow growing plant. 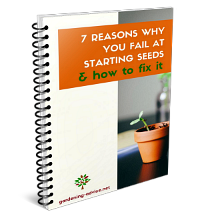 It's a good idea to start your cabbage plants from seed, for various reasons. 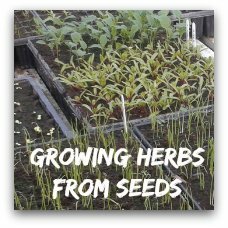 You can find a selection of seeds here. If you are ready to plant in March, there may be few options available in greenhouses yet; some nurseries don't even open for business until April. In addition, you can get a much nicer variety when sowing cabbage from your own seed selection. While cabbage can take some cold and mild frost, you will still need to be cautious to protect the plants once they are in the ground. A simple cold-frame or row cover can be enough to keep cabbage plants thriving. Most extension offices publish frost calendars, along with suggested planting dates for various crops. Always refer to those before making final planting decisions, even with cold-loving crops like cabbage. 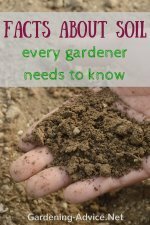 There are many garden pests that you may have to deal with. However, the ones that are usually an issue with cabbage are limited to a handful of bugs. Cabbage pests also affect other members of the Brassica family of plants, so avoid planting too many cole crops in the same location. 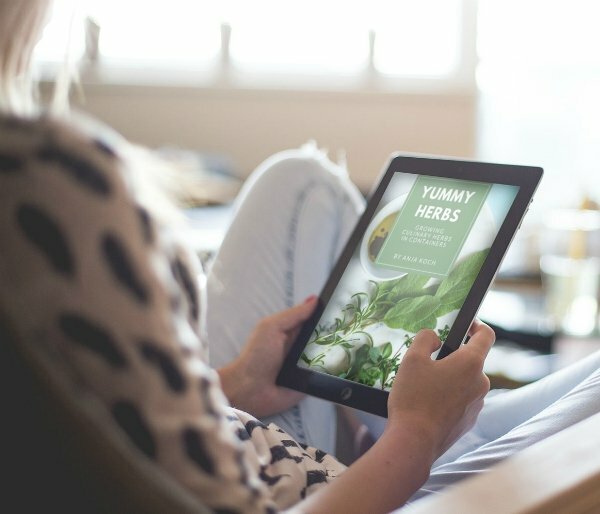 By spreading out the various types, the bugs will have a longer distance to travel to infest the crops, making cabbage pests less likely to spread quickly. The most common pests are cabbage worms or caterpillars. The cabbage worm can destroy your Brassica plants! Picking them off the plants is the most organic way to deal with them. Not my favorite job but has to be done! Cabbage and other brassicas can also attract aphids and root flies. 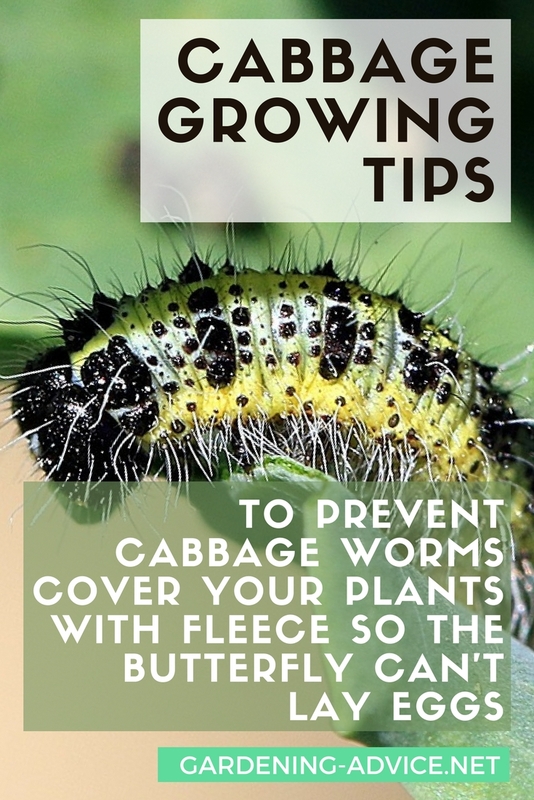 The best way to deter cabbage worms is to protect the plants from infestation when they are young. Providing a barrier, such as a floating row cover, can deter the mature moth from laying eggs in cabbage plants. Once the cabbage head starts to develop, do a visual check several times a week and pick off any worms that are present. Keep an eye out for droppings, as they are a sure sign that these cabbage pests have been visiting. Aphids can be an extremely frustrating problem for gardeners. Aphids love Brassicas, though they are more likely to infest broccoli and kale than cabbage. Pests like aphids can be controlled by using an organic soap spray, either homemade or commercially produced. Slugs can also be a problems sometimes. 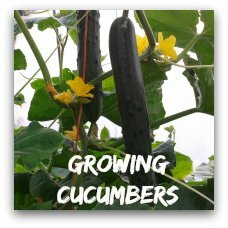 Check out this page on how to deal with slugs organically. 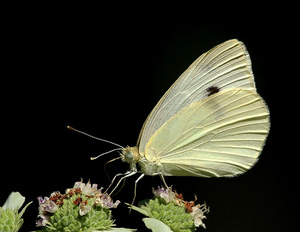 The Cabbage White Butterfly is laying eggs on the unsersides of the cabbage leaves. 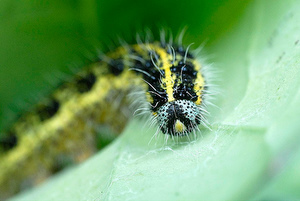 The emerging caterpillars start eating the foliage and can do severe damage to the crop if not treated! This works best if treatment is started when only a few bugs are noticed. Also, if you spray daily once the aphids are present, they have a lower chance of infesting the entire crop, potentially making your cabbage-family plants inedible. Cabbage plants take a lot from your soil. The roots are thick and deep. If you are growing cabbage next to delicate plants, such as tomatoes, be sure that you give each enough room. If you neglect this step, your cabbage could easily starve the other crops adjoining it. 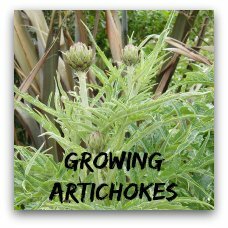 This is especially problematic in square-foot garden arrangements and other methods of intensive planting. In this planting arrangement, only one cabbage crop should be placed in each planting bed. 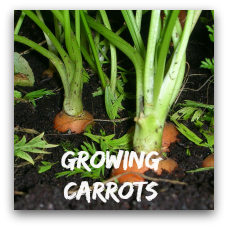 In addition, applying appropriate fertilizer to Brassica plants will ensure that they thrive.